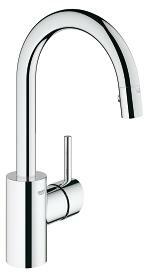 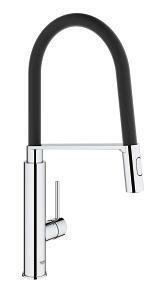 Who says stylish, high-performance faucets have to break the bank? 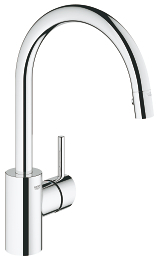 Step forward Concetto dual spray pull-down which offers a high-style design and high-tech features in one great value product. 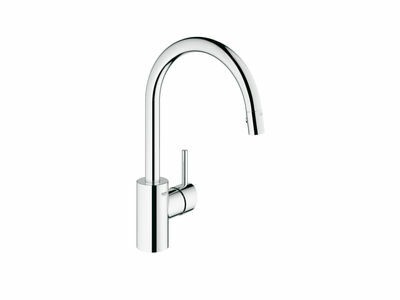 Its dynamic and clean design creates a fresh, modern look that will add a contemporary touch to your kitchen. 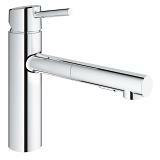 GROHE SilkMove® technology, makes one-finger control of both water temperature and volume effortless, even with wet hands. 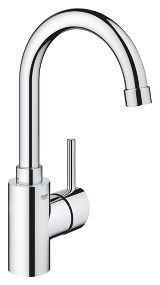 It is available in the deep and lustrous Grohe StarLight® chrome and SuperSteel InfinityFinish™.